Exploring perceptual colormaps and plotting them on the 1931 CIE chromaticity diagram. Neurosurgeons use fluorescent markers to provide visualization of important functional features of the brain. Some markers can be used to identify differences in tissue metabolic activity, and other tracers can identify leaky blood vessels that are associated with tumors. While most fluorescence guided surgery approaches rely on the eye of the surgeon to identify fluorescence light emitted by a single tracer, we are developing advanced optical approaches to independently estimate multiple fluorescence tracers. These approaches also provide measurements of the absolute value of the tracer concentrati on without distortions from blood absorption or tissue scattering within the surgical field. This SYNERGY grant focuses on the pilot clinical translation of a fiber optic approach to measure multiple fluorescent tracers during tumor resection surgeries. Dartmouth SYNERGY works to speed the impact of discovery and translate new knowledge into practice and improved population health. By connecting to critical resources, funding opportunities, technologies, research training, and expertise, SYNERGY helps investigators advance research and efficiently translate discoveries into improved population health. The SYNERGY Translational Pilot Program facilitates collaborative translational research studies across Dartmouth and affiliated health centers and communities. Pilot funding is intended to stimulate translational innovation, with a positive impact upon our overall clinical and translational research enterprise. The Translational Pilot Program systematically identifies, reviews, and selects novel multi- and interdisciplinary research concepts that have maximal potential for translation into patient care and population health. Dartmouth SYNERGY Clinical and Translational Science Institute is funded through the National Institutes of Health (NIH) Clinical and Translational Science Award (CTSA) program. The CTSA program is led by the NIH’s National Center for Advancing Translational Sciences (NCATS). Breast conserving surgery is done routinely but has a high rate of subsequent surgery when cancer is found in the margin of the tissue removed. In fact, approximately one third of all patients are recalled for a second tumor excision when either residual cancer or ductal carcinoma in situ (DCIS) are found on the specimen surface or within 1-2 mm of it following pathology analysis in the days after the initial procedure. There is a need for an accurate surgeon-assist device that can determine if the resected tissue is clear of cancer at the margins. 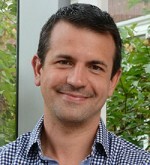 This problem has a direct solution, however, through optical technology optimized for widefield and volumetric scanning, coupled with computer-aided decision making. 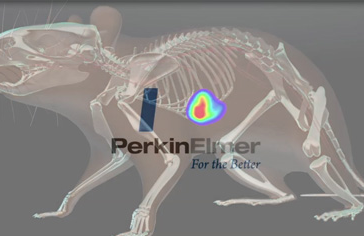 Dartmouth and PerkinElmer will combine wide-field optical scatter spectroscopic imaging with volumetric CT scanning of specimens in a package that integrates the substantial pre-clinical experience by the PerkinElmer team with the substantial prototyping and clinical specimen imaging work of the Dartmouth team. The combined system will initially be completed followed by testing of training data sets on known tissue samples from the breast lesion tissue bank. Following validation, a prospective trial will be carried out on the system to help determine the accuracy in margin identification. Taken together this will be one of the first comprehensive approaches to volumetric and surface scanning in a single package, and it comes from two groups with substantial experience in the aspects of cancer imaging and system development.